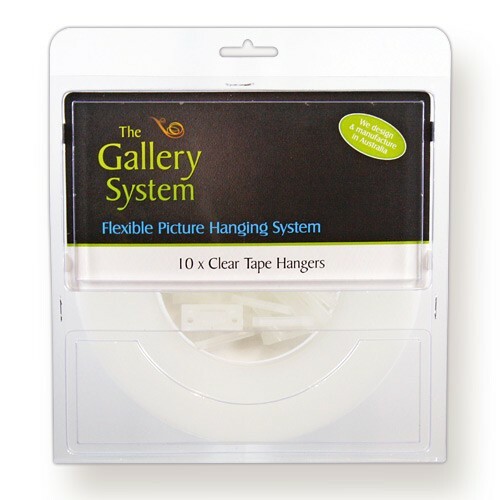 The Gallery Plastic Picture Hanging Strap pack contains 30m of strong clear tape and 10 locking capsules to hold the hanger up into the track. The flat tape offers some advantages over other plastic hangers. Its wide area of grip means the hook won’t slip. The flat tape ensures that the hook always points outward ready to accept the picture. Cut the Clear Tape to size as needed. If you have any tape left over you can purchase extra locking capsules separately. You must leave at least a 4mm gap between each track as the capsules can only be inserted from the end of a track. 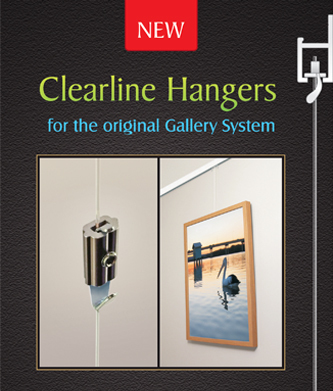 Maximum weight on one Gallery Clear Tape Hanger is 15kg (33 lbs). You can nit use the easy adjust “push-button” hooks with this strap. 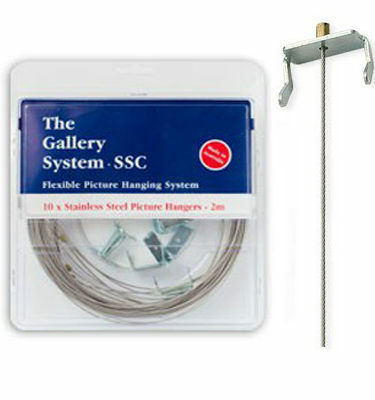 For these reasons we recommend the Stainless Steel Hangers for a more durable and more modern presentation to your picture hanging system. You may hang two or more pictures on one hanger, though the total weight must not exceed 15kg (33 lbs). Don’t forget to order adjustable hooks (standard Gallery Allen Key Hooks) as these are not included in the pack.